With an increasing array of effective tools that optimize care, treatment and prevention, I hope that the journal can highlight new knowledge and best practices to help improve the lives of people living with HIV and to facilitate [HIV prevention]. 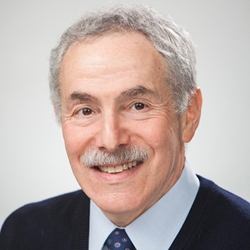 Kenneth Mayer, MD, has been appointed a new Editor-in-Chief of the Journal of the International AIDS Society (JIAS). Dr. Mayer, who joined the JIAS Editorial Board in 2016, has co-authored more than 800 peer-reviewed publications. Among his other accomplishments, he is the founding Medical Research Director of Fenway Health and Co-Chair of The Fenway Institute, a member of the US President’s Emergency Plan for AIDS Relief (PEPFAR) Scientific Advisory Board, amfAR’s Program Advisory Council, and a member of the International AIDS Society (IAS) Governing Council. At Fenway, Dr. Mayer created a community health research program that now has an international reputation for its capability to conduct community-based research under the umbrella of The Fenway Institute. He is currently a Professor at Harvard Medical School, a Professor in Global Health and Population at the Harvard TC Chan School of Public Health, and Attending Physician and Director of HIV Prevention Research at Beth Israel Deaconess Medical Center in Boston. Dr. Mayer is currently a Professor at Harvard Medical School, a Professor in Global Health and Population at the Harvard TC Chan School of Public Health, and Attending Physician and Director of HIV Prevention Research at Beth Israel Deaconess Medical Center in Boston. Since 1994, he has been a Principal Investigator of National Institute of Health (NIH)-funded HTVN, HPTN, MTN and ATN clinical trials units, focusing on bio-behavioral HIV prevention research. Previously he has served on the national boards of amfAR, HIVMA and GLMA, was a member of the CDC/HRSA HIV/AIDS Advisory Committee, and is currently a member of the IAS Governing Council. He serves on the PEPFAR Scientific Advisory Board and the PCORI Health Disparities Advisory Board. Dr. Mayer will be joining the JIAS co-Editors-in-Chief, Susan Kippax and Papa Salif Sow. For more information, read the full press release from JIAS here.